There is nothing like the sense of freedom and adventure that comes with an ATV or UTV. Spinning through the mud, navigating a forest trail or simply driving back to your deer stand -- wherever you love to ride, you know the thrill of ATVing. CURT ATV towing products allow you to maximize your ATV experience by giving you functional equipment that is built to last. The CURT ATV ball mount turns your 4-wheeler adventures into more than just joyrides. These sturdy ball mounts provide you with multiple towing capabilities in one package. They feature a trailer ball for towing a small trailer, a clevis pin that accepts a tow hook or lunette eye for straight-pull towing and a 5/8" hole for coupling a pin-style coupler. With its 2" x 2" shank, the 3-in-1 ATV ball mount lets you get more done no matter what your project may be. 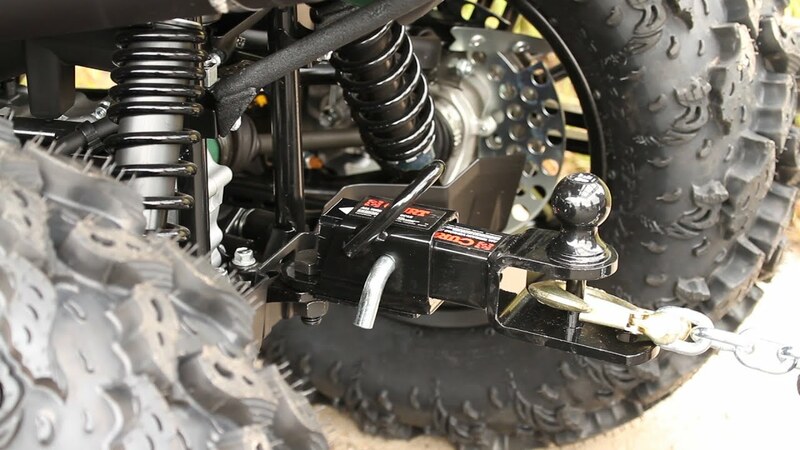 Likewise, the CURT bolt-on ATV adapter is a multi-functional piece of equipment that helps make the most of your ATV or UTV. The adapter simply bolts onto the ATV tongue using the included hardware and provides a 2" x 2" receiver tube opening to accept a ball mount shank or some other towing accessory. 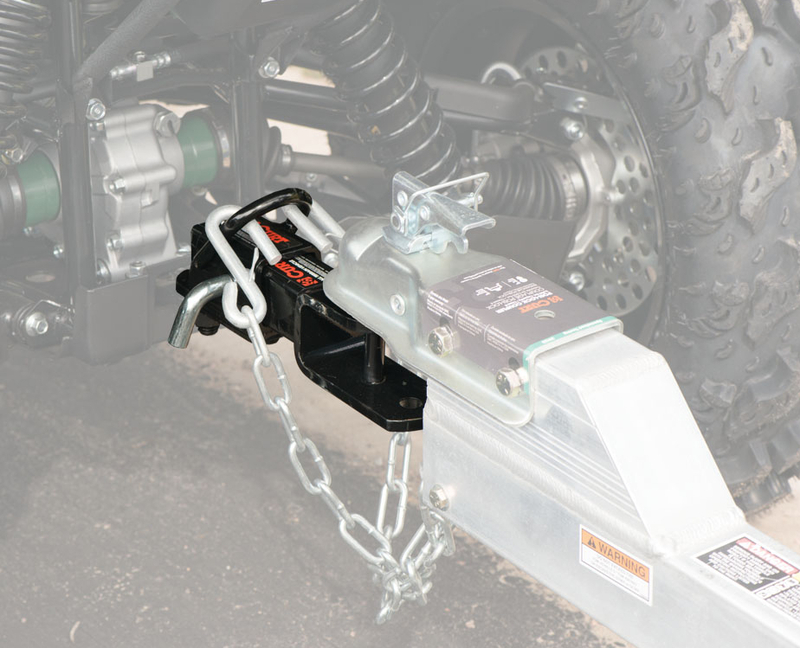 The CURT ATV adapter has a welded strap ring to provide a solid attachment point for a tow strap or rope, and it also features a stabilization plate that keeps the adapter and load from swaying and swiveling during travel. Both the CURT ATV ball mount and ATV bolt-on tongue adapter are made from quality steel and welded together with precision. We coat both products with a gloss black powder coat finish to ensure long-lasting resistance to rust, scratching, chipping and UV damage. Whatever your all-terrain vehicle of choice -- quad, three wheeler, four wheeler or side-by-side -- give yourself the advantage with CURT ATV towing products.